The rest of the photos were taken at the Lord of the Rings 4 set. Thank you. If you believe in picture trailers, beware of SPOILERS ahead. So after 3 hours and a 30 minute-nap, we had to go back to the Philippines. Then our journey to Mount Doom in Mordor commenced. Despite the heavy, dark clouds, the view was still awesome like me. The trail just really felt like I was in Middle-Earth. So let it be. Blog ko to! Hihi. Gollum attacked this woman. Now she had to go back home on a stretcher and be eliminated afterwards. Ok. I really researched for this, kaya, brace yourselves for information short circuit. The following guide will not help you but ruin your life if you don't read well. So please, don't skip read. Spot the difference. (1) Mt. 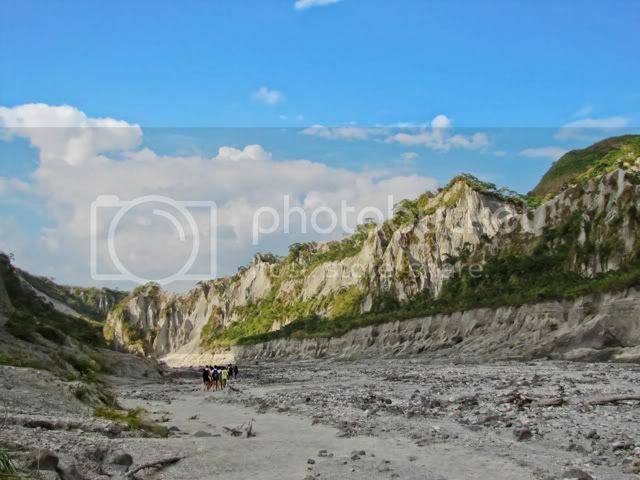 Pinatubo - go to Google or Wikipedia. What the what? K FINE! 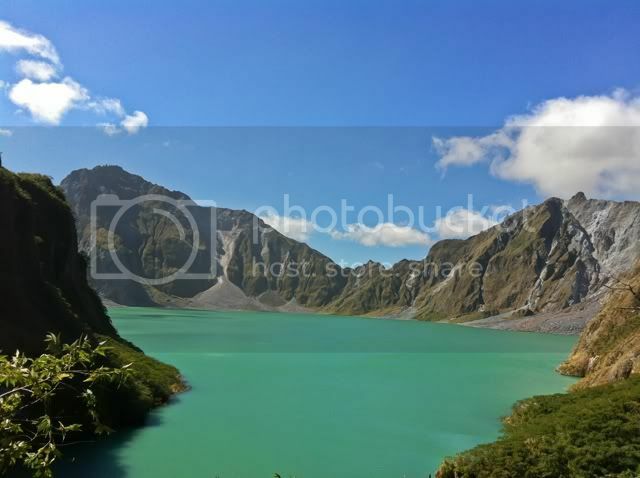 (2) People go to the Pinatubo Crater Lake because it's so beautiful it makes me awesome. 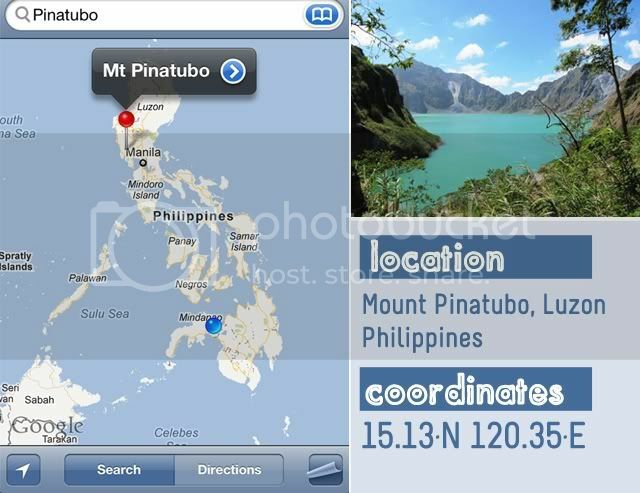 Words to Remember before MOUNT PINATUBO: Airport, Bus Terminal, Pampanga, Capas, Tarlac, Barangay Sta. Juliana Tourism Office, Wendell. From this point, take care while reading. Embrace the unthinkable. Read properly Filipinos. This is for those who want to bring their car. If you're from Manila area, Proceed to step 2. If you're from another Luzon area or outside Manila, proceed to Google. (2) Call Wendell. Highly Recommended. Winner of 16 Golden Globe Awards and a hundred nominations in Famas Awards. 09196084313. Ask the WHEN and confirm the HOW MUCH. He's the President of District 12 in Panem. (3) Pack up. Don't bring your house. Wear something light. 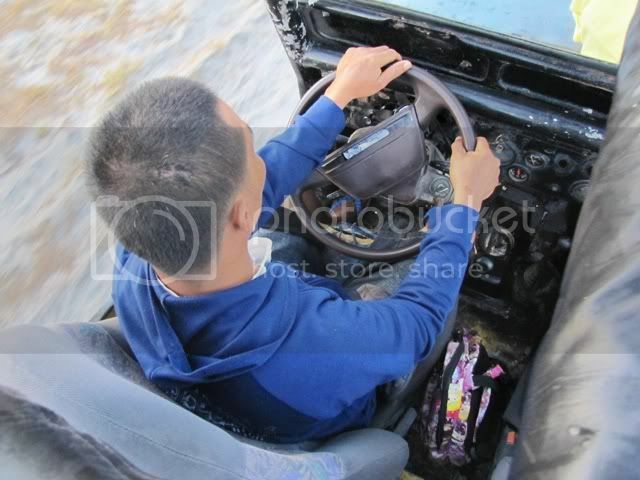 If you're lean, a jacket may help during the 4x4 drive or else you'll die. Be on high heels or rubber shoes (choose only one). Apply Sunscreen Lotion. Bring a weapon of your choice. Some crackers or candies or cakes and lechons may help along the way. (4) Take a bus that's headed to either the Ilocos region (Vigan or Laoag) or Baguio. Ask the conductor (the male species who hands out the ticket and gets the fare [Philippine style]) to drop you off CAPAS TARLAC JUNCTION. Sleep. Don't forget to tell him to wake you up when that is about to happen. 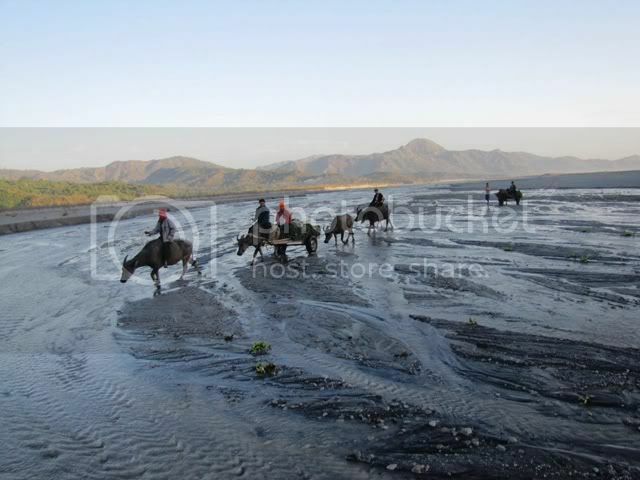 (5) From Capas, Tarlac Junction, pay a tricycle PHP200-300 for a 25-km drive to Barangay Sta. Juliana Tourism Office. Tell them that you're friends of Wendell so they won't increase the regular PHP300 fare going there. PHP300 is for 4 people in one tricycle. PHP500 is too much. You can haggle, but don't overdo it. 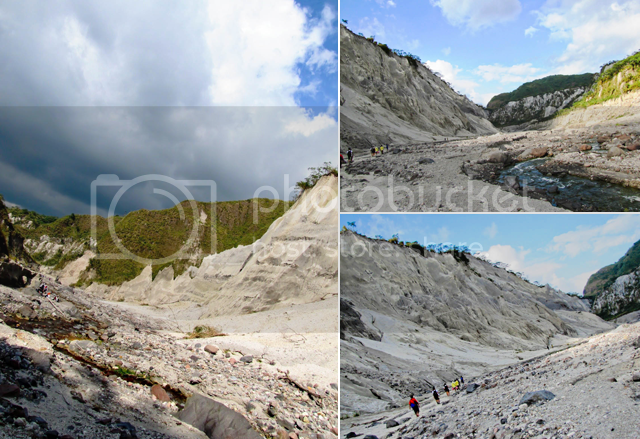 (6) If you're early, you can drop by the Pinatubo Spa Town. Ask your driver. (7) Register and pay PHP1375 at the Sta. Juliana Tourism Center. Look for Frodo and the ring among the pack of wolves that you are going to travel with. Say hi to your driver and the trek guide. They will save your life and then Middle-Earth. 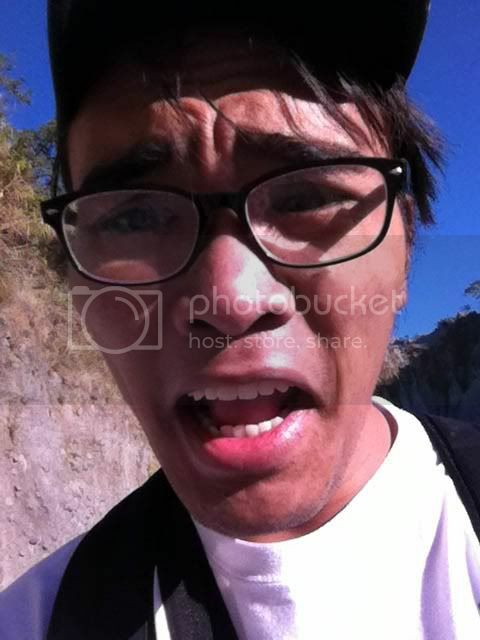 (8) 30 minutes 4x4 ride. Don't sleep. You can't do it anyway. Everything is beautiful at sunrise from the 4x4 land cruiser. Take pictures, stand up, but hold your camera tight. It's a bumpy ride. (9) Trek for 2 hours. Actually you can reach the crater lake for 5 minutes by a short cut. Only the Aetas living there know it. Avoid fragile trails/path. Be careful, some paths lead to Narnia. A. P567.84 - 1-way ticket from CDO. Watch out for promos & book ahead of time. There are cheaper fares than this. B. P524.16 - One way ticket to Cebu. (I was flying everywhere. This makes up my roundtrip ticket). PHP1,850 PER HEAD. excluding the airfares. Group of 4. > Bring a video-capable camera. You can make a music video there. > You can camp at the crater lake. Inform Wendell first or the President of Ethiopia. Beware of the Loch Ness Monster with an "S". And Gollum too with a "Z". 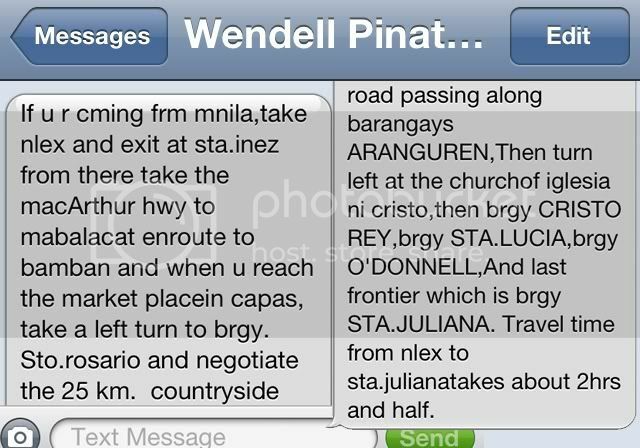 > Pay more (+300) if you ask Wendell to fetch you from Capas, Tarlac Junction by 4x4. This is less hassle. > Inform Wendell about food allergies or restrictions Free lunch comes packed. 2 viands and a big mound of rice (maybe 2 cups), and a meager 500m bottled water. > NOTE: WARNING: CAUTION: Dehydration kills. Bring a liter of water or 2 or whatever you like. Refill at the crater lake later. JOKE is an English word so you better not skip read! > If you're filming, good luck. > Not good to trek there when it's rainy. 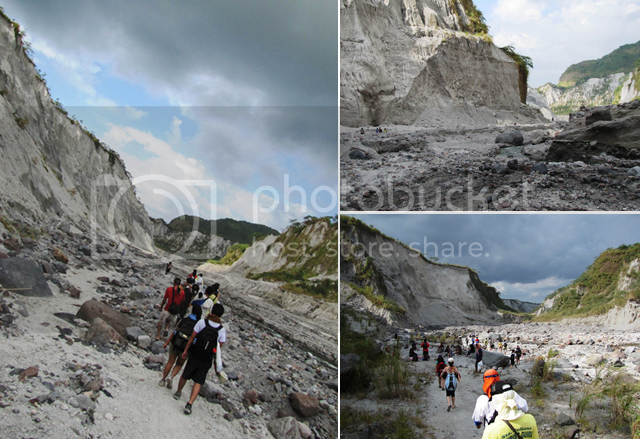 The trail is Lake Pinatubo's drainage; it's like a humongous basin it gets filled with water too. No tourists can trek if it's heavily raining. So pray for a good weather. 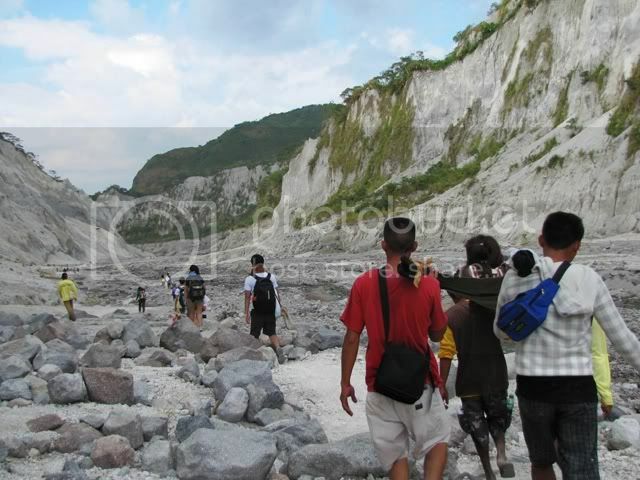 > There are Aetas living somewhere around the Pinatubo trail I'm not sure where. We saw them. We saw goats and carabaos and chickens too. So? Just say Hi and wave a hand or hands. LAST NOTE: Those on BOLD are important. Everything else is unnecessary, nonsense, and awesome. Just like this. And this. Why are you reading this??? I said BOLD only! Don't forget the ugly-handsome face. Gosh, this is so effortful I'm not doing this guide guide guide again! I'm gonna make it shorter and more sincere and dedicated and honest though *wink*. Those on BOLD ONLY. For more information, suggestions, clarifications, corrections, comment to this post, or e-mail/facebook/tweet me and love me back because I love you guys! Those on BOLD ONLY. sige ako na naiingit sa mga pic at pag punta mo. 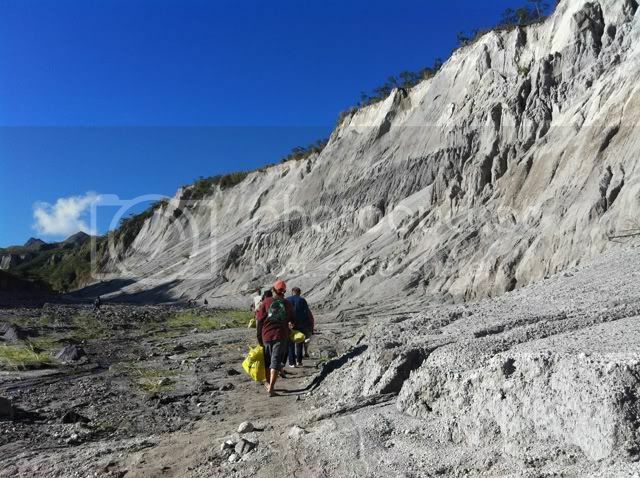 ang lapit ko langh dito pero di ko mapuntahan..
i try this yr na pumunta sa pinatubo. Pero wag ka, binasa ko ng buo. Haha. I really wanna go there kasi dati. Hayy.. Someday! Someday..
Beautiful photos. Thank you for taking us there. i hope someday i can visit the place. 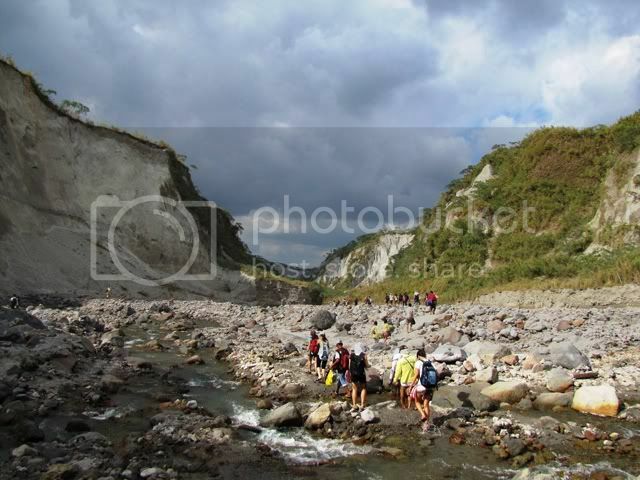 a trip to mt pinatubo is a must for all bagets, congrats u made it back! ganda ng view sa mt. 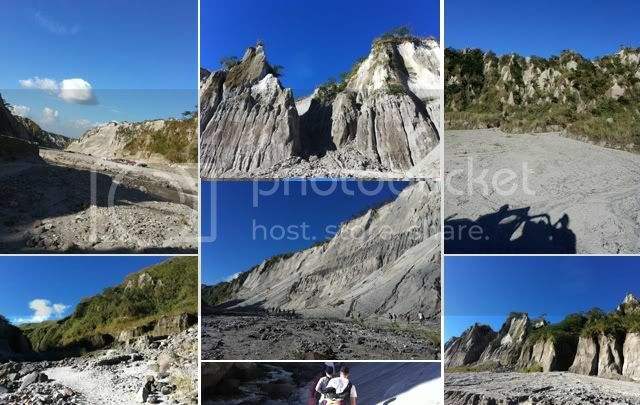 pinatubo.. kapag nakakakita ko ng pictures parang kuha sa ibang bansa.. im proud kase andaming magandang lugar dito sa Pilipinas.. ansarap magtravel..
Basta. Sulit naman ang mga places mong pinupuntahan.. Pabayaan mo na ang Budget. Joke. Basta. Sulit naman ang mga places mong pinupuntahan. Pabayaan mo na ang Budget. Joke! Success ang WWH post! Packed with info :) This will surely help heaps of first-timers.